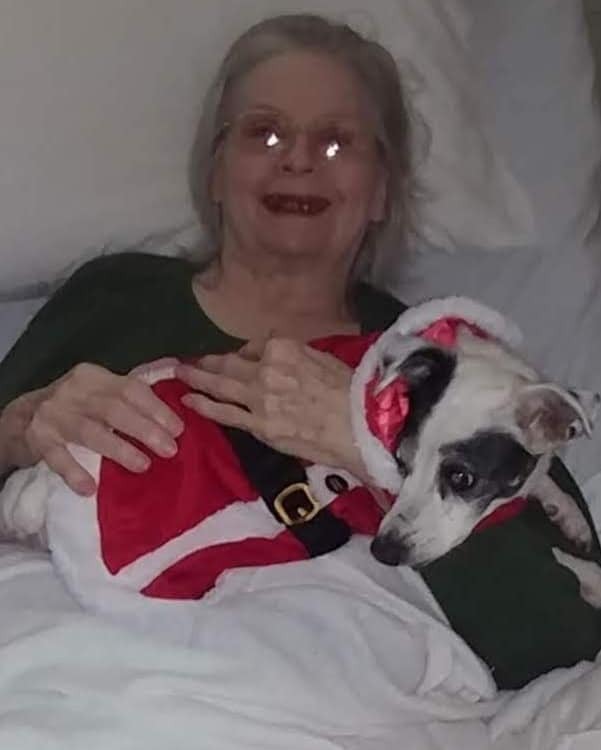 In accordance with Jeannetta’s wishes a graveside service will be held at Riverside Cemetery of Three Rivers, MI on Friday, April 5, 2019 at 2:00 p.m.
Jeannetta Frances Yehl, age 84, of Three Rivers, MI passed away in the early hours of Wednesday, April 3, 2019. She was born on August 28, 1934 in Aurora, IL the daughter of Bert and Wilma (Barker) Westbrook. She was a member of the Red Hat Society and loved to crotchet. She fiercely loved her dogs always calling them her “Little Ones”. She is preceded in her passing by her husband: Howard. Jeannetta leaves to cherish her loving memory friends: Charlotte (James) Ward, Sophia (Johnny) Ward-Williamson, Isabella and Gabriella Williamson, Lynn, Manuel, and Derrick Quintero. Memorial made in Jeannetta’s memory may be made out to The St. Joseph County Animal Rescue Fund (ARF). Envelopes are available at Hohner Funeral Home. St. Peters Three Rivers Comfort Dog Jude will miss visiting with Jeanette.His team know that she is enjoying many reunions with her dogs and their friends. Jude’s team sends their condolences to the family and will be praying for strength and comfort in this time of need.